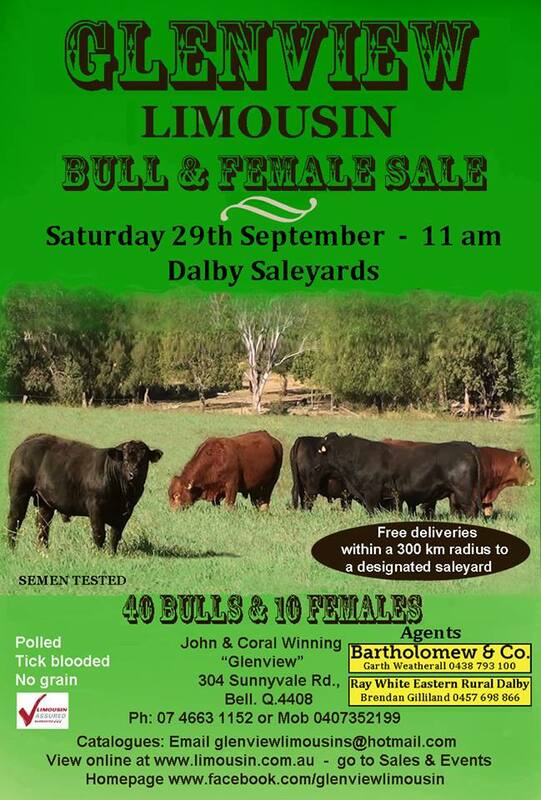 Ray White Dalby offers livestock marking solutions tailored to your needs. The team at Ray White Dalby Would like the opportunity for a no obligation, face to face conversation about how we can tailor any of our service options to your needs. 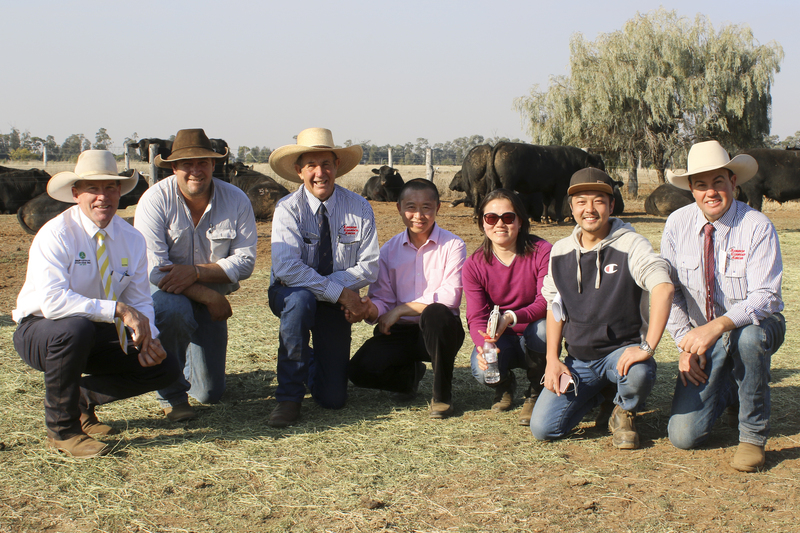 Congratulations to Roger, Tam, Justin, Kate, Ally, Nick & the late Jack on a outstanding Bull sale held on Wednesday 15th August on property at “Glenoch” Chinchilla. 91 Angus Bulls offered to Avg $9,428 with 100% clearance and a top of $17,000. The $17,000 top priced bull was lot 21, Glenoch-JK Minister M640. 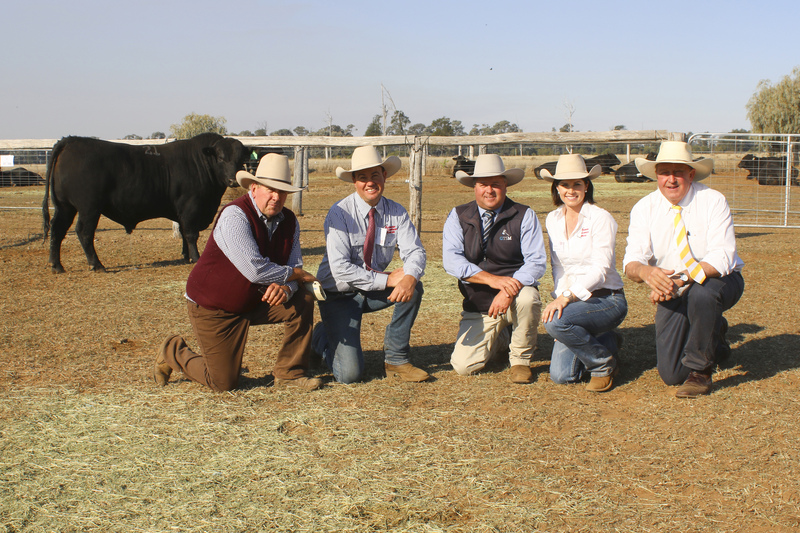 Purchaser Greg Peck, Purtora, Blackall is pictured with vendors Justin and Kate Boashammer, JK Cattle Company, Condamine, Michael Glasser, Classer Total Sales Management, and Roger Lyne, Ray WHhite Eastern Rural, Dalby. 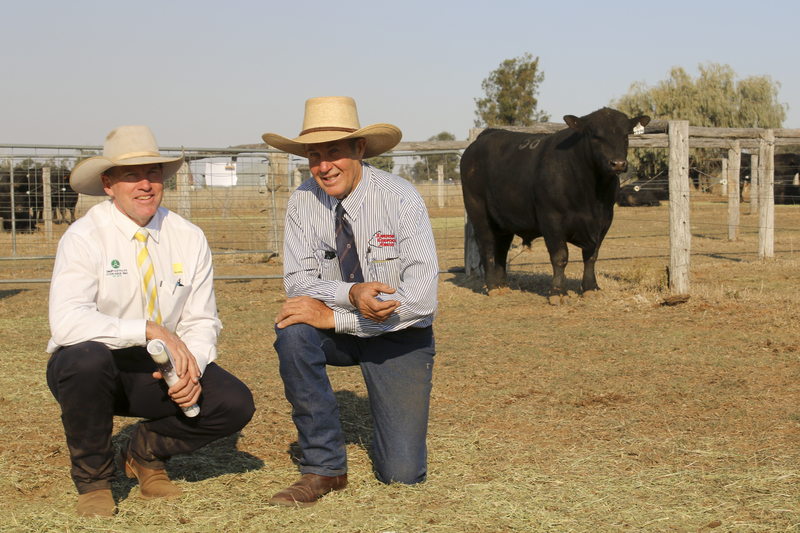 Bruce Birch, Ray White with Roger Boshammer and the second top priced bull at $16,000, lot 58, Glenoch Maximerge M499 (AI). Volume Buyers Feucheng Woodland Pty with Bruce Birch, Ray White, Roger Boshammer amd Justin Boshammer. Keep up to date with the Ray White Eastern Rural Team on Facebook.